Skip Wilkins is an American jazz pianist who splits his time between Eastern Pennsylvania and Central Europe. While in the U.S. he makes his home in the town of Delaware Water Gap, living at the famous jazz club Deer Head Inn. In his adopted hometown, Skip performs with National Endowment for the Arts Jazz Master Phil Woods, The Festival Orchestra, Larry McKenna, Kim Parker and others. Skip has had a special connection with many Czech musicians. Often spending months in Prague, he has toured throughout Europe, with performances in the Czech Republic, Germany, Switzerland, Greece, Austria, Italy, France, and the Slovak Republic. Skip has released twelve CDs as a leader or co-leader. Skip has been fortunate to play and record with luminaries and un-sung local players wherever he has lived. He was featured on the recording “New Celebration” from NEA Jazz Master Phil Woods and the Festival Orchestra. Skip and Phil are neighbors in Delaware Water Gap, PA. Deer Head Records will be releasing a previous live recording that he made with vocalist Najwa Parkins and Philadelphia tenor saxophone legend Larry McKenna. Skip plays often at Deer Head Inn and at the COTA Festival of the Arts. Born and raised in eastern Massachusetts, Skip grew up in a musical home and began listening to jazz at a very early age. His father played drums locally, so Skip was able to interact with professional musicians as a small child. He first found his way to the stage in kindergarten and has not left the stage since. In many ways his earliest experiences have proved the most enduring. He learned to love singing and listening to subtle harmonies before entering school, taking particular delight in the Great American songbook repertoire of such composers as Richard Rodgers, George Gershwin and others of the first half of the twentieth century. Also drawn to syncopated rhythms and polyrhythms of jazz recordings that he heard at home, it is readily apparent that the seeds of his future style were already planted in pre-school. Many years later, a seasoned professional pianist, Skip is noted for his lyricism, fascination with harmonic color, boundless rhythmic energy, and interest in exploring songs from the Great American Songbook. Skip has been touring in Central Europe frequently since 2007. He has twice lived in Prague during sabbaticals from his teaching position at Lafayette College and he returns regularly for performances throughout Europe. Since 2016, he has been touring with a variety of ensembles, performing throughout the Czech Republic and making frequent visits to Berlin. Skip has a new CD, Czech Wishes (New Port Line NPL 0018-20, Czech Republic). He wrote all the music for this project, which he recorded with his son Daniel, a saxophonist and frequent collaborator, and three stellar Czech musicians in the vanguard of the jazz scene in Prague, including trumpeter Miroslav Hloucal, bassist Tomáš Baroš and drummer Marek Urbánek. From 2012-2016, his main European working group was Trio WUH, a piano trio hailed as “arguably, one of the best new dynamic trios in the jazz world today” All About Jazz. Comprised of Skip, bassist František Uhlíř and drummer Jaromír Helešic, Trio WUH gave more than 200 European concerts – essentially whenever Skip could find time to be in Europe. Skip is often routinely referred to as the most active American pianist in the Czech Republic. Trio WUH performed regularly in every corner of the Czech Republic, and regularly in Germany and Switzerland. Further tours took them a few times to Austria and Italy, as well as to France and the Slovak Republic. They headlined in a live televised performance at a state event from Prague Castle, in the concert honoring retiring president Václav Klaus, on Czech National Television (2013). CD and DVD commemorations were released just months after the event. During the same tour, the group’s concert at the Festival Jazzinec in Trutnov was captured live. One year later, in a performance at Prague’s famous jazz club Reduta, their Jazzinec performance was released on CD as Trio WUH: Live at Jazzinec. Trio WUH regularly played Prague’s top jazz clubs, as well as festivals, clubs, museums and other venues in their seasonal travels throughout Europe. In addition to his work in Europe with Trio WUH, Skip also performs in a group with young musicians that he assembled for his 2013 New Port Line Records CD release Czech Dreams. Formed in 2012 during his sabbatical residency in Prague, Skip wrote a set of new pieces and recorded them with some of the leading lights on the emerging jazz scene in Prague: guitarist Libor Šmoldas, bassist Tomáš Baroš and drummer Tomáš Hobzek. Saxophonist Rostislav Fraš and vocalist Maruška Puttnerová also made memorable guest appearances on the recording. During his previous sabbatical residency, Skip maintained an active concert and recording schedule, and taught at major summer workshops and gave additional workshops and masterclasses in a variety of conservatories, music schools and other venues. Skip maintains a special relationship with the Janáček Academy of Musical Arts in Brno, where he is well known to the students and faculty from his numerous workshops. Also during the sabbatical, he directed the Skip Wilkins Singers, a twenty-voice Prague jazz choral ensemble that performed his arrangements and compositions. He recorded three CDs with various groups, headlined at major festivals, performed on live television, gave concert performances that were recorded for future radio broadcasts, and in general, participated enthusiastically in Czech cultural life. He continues with his Czech language studies. In 2012 Skip and his son Daniel, an exciting up-and-coming tenor saxophonist, released the CD Father & Son (SteepleChase LookOut SCCD-33102). Joining them on the CD were members of Skip’s New York Trio, bassist Scott Lee and drummer Jeff Hirshfield. Father & Son featured a new set of Skip’s compositions. Skip and Daniel play together often and have toured Europe together four times. Another member of the “family business” is daughter Emily, a wonderful vocalist, who has performed on tour with her father and brother in Europe. Father and daughter twice co-directed the jazz ateliér at the annual Summer Choral Workshop in Lomnice u Tišnova. Skip also has numerous other associations, including The Skip Wilkins Trio – a New York Trio – with Scott Lee (bass) and Jeff Hirshfield (drums). The trio released two CDs on Dreambox Media in 2011: I Concentrate on You, a set of standards, including some well-known pieces and some less often played gems; and After, a set of new compositions by Skip Wilkins, including some of the most varied writing he had issued to date. In August 2009, Skip recorded Frýdlant Nights with the Rostislav Fraš – Skip Wilkins Quintet. Released on CD in 2010 on the Czech Radio Prague label (CR0473-2), the quintet features Wilkins with Americans Neil Wetzel (alto saxophone) and Gary Rissmiller (drums), along with Czech musicians Fraš (tenor saxophone) and Josef Fečo (bass). Wilkins’s compositions are featured prominently, ranging from edgy to lyrical. Together they headlined at major festivals in Přerov and Vsetín and gave a live radio broadcast performance from Prague’s famous Jazz Dock, among many other performances. The Rostislav Fraš – Skip Wilkins Quintet continues to perform together in the Czech Republic, recently celebrating their seventh anniversary tour together in Prague and Frýdlant. Skip was also quite active performing with Rosťa during his year of residency. In addition to dozens of performances with trio WUH in every corner of the Czech Republic, some of Skip’s earlier noteworthy Czech performances have included the Karel Velebny Summer Jazz Workshop in Frýdlant; as soloist with the Big Band Ceského Rozhlasu (Czech Radio) at the International Pražské Jaro (Prague Spring) Music Festival; Janáckův Maj festival in Ostrava; Brno Jazz Festival; Hello Jazz Weekend in Uherské Hradiště and Kyjov; Prague jazz clubs, including Agartha Jazz Centrum, Jazz Dock, U Malého Glena, Reduta and U Staré Paní; Czech concert venues in every corner of the country; and national broadcasts on Czech television and radio. Skip performs on and is interviewed prominently in two Czech Television documentaries filmed in Frýdlant. He is otherwise frequently interviewed on television and radio, and gave live performances on both Dobré Ráno and Živě on Czech national television during his sabbatical residency. In Germany, Skip headlines annually at Schlot in Berlin with German bassist Christoph Riggert, and on tour with Trio WUH at Birdland Neuborg, and in clubs in Lindau, Straubing, Schesslitz, Weinstadt, Waldenburg, Überlingen and beyond. He has played at festivals in Coburg and Burgthann. In the Slovak Republic, he has performed in Žilina and at the Kursalon in Piešťany. As he was coming up in Boston, he worked with drummers Joe Hunt and Bob Moses and with saxophonists Jimmy Mosher and John LaPorta. In Denver, where he established his style, Skip was a well-known figure regionally, and often performed with marquee players when they visited the area. These included saxophonist Plas Johnson, vocalists Mark Murphy and Darmon Meader, trumpeter Conte Candoli, bassist Milt Hinton, and drummer Peter Erskine. He also made his first recording, Two Much Fun!, on Eaglear Records, as co-leader with flutist Jill Allen. While in the Rocky Mountain region, he toured the West with various groups and performed regularly at all the established jazz clubs, including the famous El Chapultepec in Denver. He also performed countless times at the University of Northern Colorado in Greeley, where he taught during his eight years in Colorado. Relocated to eastern Pennsylvania in 1995, Skip resumed his performing career on the east coast with the Wilkins & Allen Quartet. In 2001, Cathexis Records released Petty Theft, which featured guest performances by Grammy-nominated saxophonist David Liebman. Skip also continued to perform in concert with all-stars, including saxophonists David Sánchez, Stanley Turrentine and Bobby Watson, trumpeter Clark Terry, trombonist Al Grey, drummer T.S. Monk, trumpeter Terell Stafford, vocalist Bob Dorough, and most recently NEA Jazz Master Phil Woods. He has performed with Philadelphia legends Mickey Roker, Larry McKenna, Joanna Pascale and John Swana, among many others. 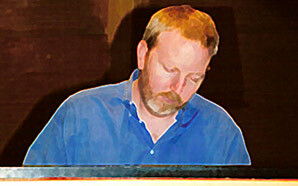 In 2005, Skip formed a new working ensemble, Skip Wilkins Quintet. Together they recorded three albums on Dreambox Media, each featuring his original compositions -- Volume I (DMJ-1101), 2006; Volume II (DMJ-1104), 2007; and The Paint-Peeler (DMJ-1117), 2008. Group members included bassist Tony Marino and drummer Gary Rissmiller, guitarist Tom Kozic, and tenor saxophonist Paul Kendall. Also in 2007, Dreambox Media released Skip Wilkins Solo – Live at Lafayette (DMJ-1109) in August. The recording features some of Skip's compositions and also pieces by Thelonious Monk, Miles Davis, George Gershwin and Frederic Chopin. As ever, his playing ranges from lyrical to edgy, often turning unexpectedly. Thus his music is heard worldwide on recording. Though he is now most active in Europe, he has performed all over the United States. Some highlights include Bethlehem, PA's Musikfest; NYC’s Tavern on the Green; The Wichita Jazz Festival, where the Wilkins & Allen Quartet served as Artists-in-Residence; and The Blue Room at the Kansas City Jazz Museum. Skip also gave performances at the University of North Texas, Williams College, and the Rochester Institute of Technology, and at other venues in Arizona, Colorado, New York, Pennsylvania and North Carolina. Nearer to his home, Skip has performed often at Muhlenberg College, Moravian College and at Lafayette College. He is Associate Professor of Music at Lafayette. Skip's recordings and performances have always received critical acclaim. (See Reviews.) He is a past fellowship winner from the Pennsylvania Council on the Arts, for excellence in jazz composition. Many of the compositions for which he was recognized were included on Petty Theft. Skip studied jazz composition and arranging with Herb Pomeroy at Berklee College of Music in Boston, and is a former faculty member at Berklee. He also studied and taught under Gene Aitken at the University of Northern Colorado. Skip has been teaching at various levels for more than thirty years, including college and university classroom work, high school ensemble directing, artist-in-residence engagements, summer workshops, master classes and clinics, and one-on-one applied instruction, including activities in the US, Canada, Italy, Germany, Greece, Czech Republic and Slovak Republic. He has worked with all levels of learners, from young children through post-doctoral fellows. 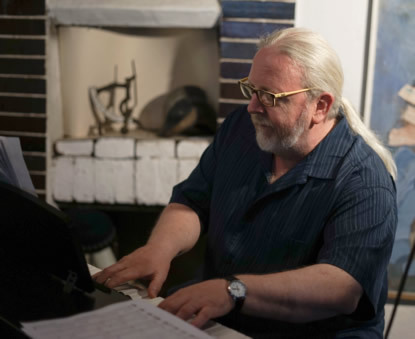 Since 2007, Skip has been especially active in the Czech Republic, presenting jazz composition and jazz piano clinics, and directing the Jazz Singers annually at both the Karel Velebny Summer Jazz Workshop in Frýdlant, and for four years at the Summer Choral Workshop in Lomnice u Tišnova. He composes and arranges new works for the workshops each year. For two years he taught at the International Jazz Workshop Kryoneri in Greece. He has presented clinics at the Jaroslav Ježek Konservatory in Prague, at the Janáček Academy of Musical Arts in Brno, and at music schools and other venues in Prague, Brno, Ostrava, Kyjov, and Kladno. In other parts of Europe, he has given workshops in Berlin, Germany and Zilina, Slovak Republic. From 1987-1995, while Skip performed throughout the Rocky Mountain West, he taught jazz theory and improvisation and later Common Practice Period harmony and musicianship at the University of Northern Colorado in Greeley. He initially headed west from his native New England to pursue the master of music degree in music theory and composition, expecting to be there two years. Two years turned into eight after he was hired by the university. UNC is home to a critically acclaimed jazz studies program. While teaching in the program, Skip developed a teaching style that is based on the philosophy of comprehensive musicianship. Then as now, whether teaching 18th century-style part-writing and solfeggio or altered dominant seventh chords, Skip integrates learning strategies. His theory and improvisation courses feature written theory, keyboard skill development, solfeggio and aural training exercises. In 1995, Skip decided to head back East and work on his performing career close to the large metropolitan jazz centers of New York and Philadelphia. He spent the first few years engaged in developing his career and planting seeds for future opportunities, performing constantly and touring with a variety of ensembles. Shortly thereafter, the local colleges invited him to work part-time. For about five years, Skip taught at Muhlenberg College in Allentown and Moravian College in Bethlehem. After a brief interruption, he continued his long association with Moravian. 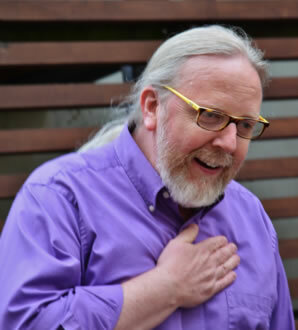 Skip is Associate Professor of Music, with tenure at Lafayette College in Easton, PA. He directs the Lafayette College Jazz Ensemble, and teaches courses in jazz improvisation and jazz history, as well as music theory.